Cranking the can opener to reveal your dog’s next meal is normally accompanied with a horrific stench and a mish-mosh of ingredients that are far beyond recognition. Food for man’s best friend has been traditionally overlooked, unhealthy, and inconvenient, littered with options that come in cans that are filled with preservatives. The Farmer’s Dog offers fresh dog food, delivered straight to your doorstep, through its direct-to-consumer subscription plans that are tailored to your dog’s age, breed, size, activity level, and any sensitivities to ensure your dog is being properly nourished. Each meal is veterinarian designed and uses human grade ingredients. 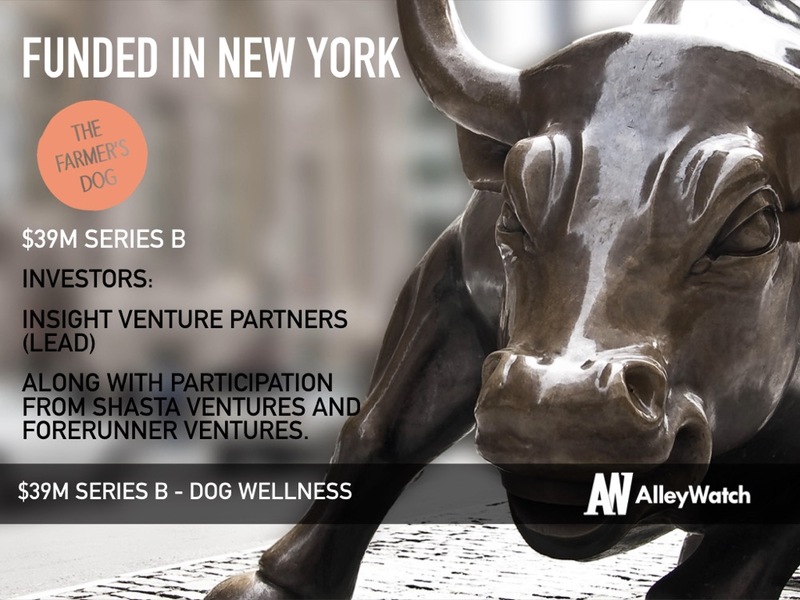 AlleyWatch sat down with dog owner and CEO Jonathan Regev about the inspiration for the company, its future plans, and latest round of funding, which brings its total funding to $50M across three rounds since the company’s founding in 2014. We raised $39M in Series B financing led by Insight Venture Partners, along with participation from previous investors Shasta Ventures and Forerunner Ventures. Tell us about the product or service that The Farmer’s Dog offers. 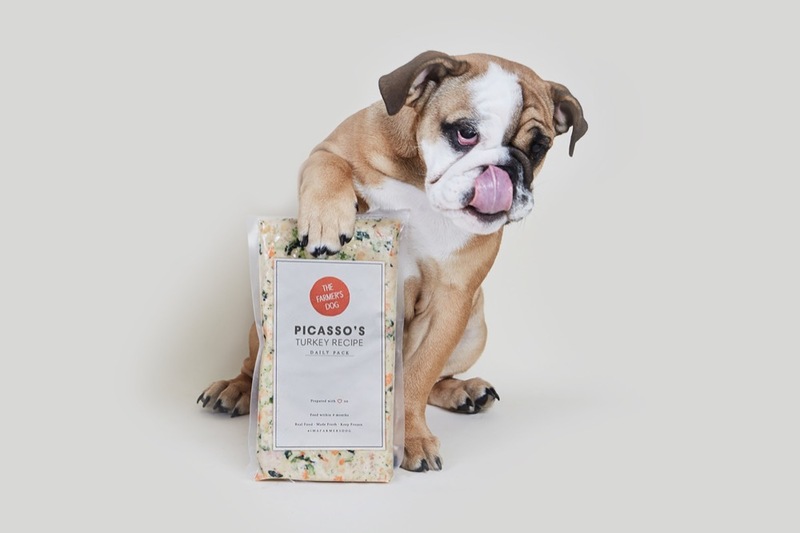 Our first product completely rethinks how pet food is manufactured and sold by delivering real, fresh food—starkly different from the shelf-stable brown pellets we’ve been conditioned to associate with pet food—through direct-to-consumer subscription plans. These plans are customized based on each dog’s individual profile and delivered directly to customers nationwide. Every recipe is veterinarian-designed, and meals are pre-portioned in easy, ready-to-serve packs. What inspired you to start The Farmer’s Dog? The Farmer’s Dog was inspired by the powerful role fresh food played in Brett’s (cofounder Brett Podolsky) battle to cure his Rottweiler, Jada’s, stomach issues. After testing every pet food on the market without success, Brett resorted to a fresh, home-cooked diet at his vet’s recommendation and the results were staggering — Jada was cured. After witnessing Jada’s transformation, Brett and I knew we had to create a solution for other dog lovers who were searching for a healthy, trustworthy option. We designed a product that we wished existed for our own dogs; a service that takes a fresh approach to pet food and gives people the peace of mind that they’re feeding their dogs the healthiest diet possible. How is The Farmer’s Dog different? Our food is truly fresh — our ingredients are human-grade and meet USDA standards, but most importantly, we use those ingredients to make real food. You can actually see, smell, and recognize the ingredients in our end-product. Because most pet foods start with ingredients that are such low quality (so low that they would be illegal to sell to humans), manufacturers have to burn and sterilize them in order to ensure shelf stability. Our recipes are simple, gently-cooked (only to get rid of harmful bacteria), and nutritionally balanced and complete. Our meal plans are personalized — dogs don’t watch their weight or their health, so it’s up to us to make healthy choices on their behalf. We make that easy by customizing meal plans to their age, breed, size, activity level, and any sensitivities, while considering your preferred delivery cadence. Whether you have a growing pup or a new health goal to tackle, it’s easy to adjust your plan in real time. We deliver to your door — our food is made fresh and the deliveries are perfectly timed so you always have food on hand. That means no more last-minute trips to the store and no need for the preservatives. 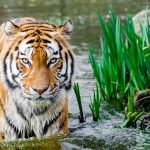 What market does The Farmer’s Dog target and how big is it? Our ambition is to inspire mindset and behavior shifts in all dog people. The pet food market is $30B in the U.S. alone, feeding a growing population of 90M dogs. We want to change the status quo of pet food so that what comes to mind when you think of dog food isn’t an unidentifiable burnt brown nugget, but real food. To make that a reality, we’re always striving to make feeding fresh as convenient, accessible, and affordable as possible. We are a direct-to-consumer subscription business, and one of the few to use this model to not just impact our bottom-line and experience, but to completely reimagine the quality of our product. Shipping directly to customers allows us to create a fresh product with a personalized experience while avoiding retail markups and shelf-stabilizing preservatives. We’re proud to have bootstrapped the company to profitability in our first two years. When it came time to raise venture capital, we could do so responsibly and on our own terms. 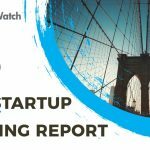 We were humbled to have received a lot of interest from top tier VC firms, and we were able to choose partners who truly believed in our mission, held a long-term view on business-building, and truly added value back to our business. Choosing the right partners and spending our time wisely. It can be tempting to optimize the process, but you have to remember that fundraising is a tool and not the end-game. Meet enough people to know who your ideal investor is, share your story, choose the very best partner you can, and get back to work. A huge industry in need of disruption — pet food is a $75B global industry ($30B in the U.S. alone), but is largely unregulated and fueled by questionable, often harmful, ingredients, production methods, and marketing practices. A mission and technology-driven approach to disrupting an industry of this size was a compelling opportunity for us and our investors. Customer love (and retention) — investors were able to see how much our early customers loved our product, and the positive impact it had on their dogs’ health and well-being. In some cases, they were our earliest customers (e.g., Eurie Kim at Forerunner Ventures) and could experience the benefits first-hand. 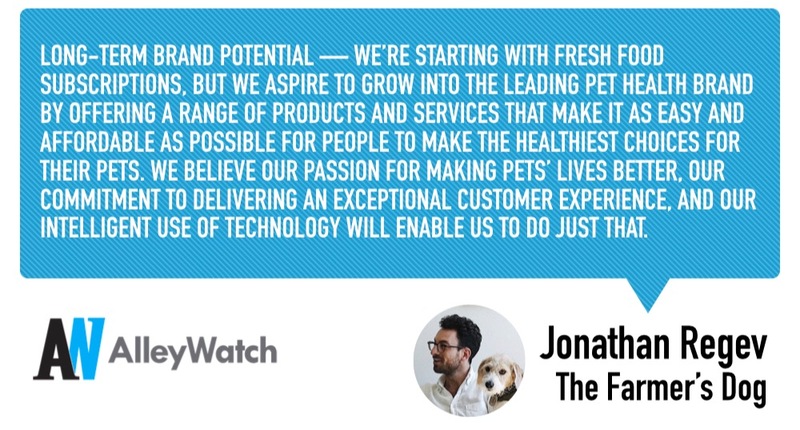 Long-term brand potential — we’re starting with fresh food subscriptions, but we aspire to grow into the leading pet health brand by offering a range of products and services that make it as easy and affordable as possible for people to make the healthiest choices for their pets. We believe our passion for making pets’ lives better, our commitment to delivering exceptional customer experience, and our intelligent use of technology will enable us to do just that. With this latest fundraise, we’ll continue to invest in our infrastructure, cross-functional talent, and world-class customer experience to ensure fresh pet food becomes the obvious choice when deciding what to feed your dog. We were really scrappy in the early days — from building a non-functioning website to gauge demand, to cooking the food ourselves in a cramped Brooklyn kitchen. We did everything from customer service, deliveries, and the janitorial work ourselves. You can easily start without venture capital. The early prototyping and learning became a key advantage for us we started to truly grow. If you’re already off the ground, I would recommend raising now, getting profitable, or doing both. We’ve just scratched the surface of our core product, so we’re focused on getting our fresh food into as many homes as possible. We’ll be telling our story in more ways, investing in top talent across the company, and continuing to improve every aspect of our customer experience. Anywhere that I can sneak my dog into. What’s the most pet-friendly place in New York City? Our office! We treat all dogs as our own, and nothing beats having a constant presence of focus group participants. They bring a really special element of joy to our culture.